Product prices and availability are accurate as of 2019-04-18 00:26:14 EDT and are subject to change. Any price and availability information displayed on http://www.amazon.com/ at the time of purchase will apply to the purchase of this product. Something Blue! 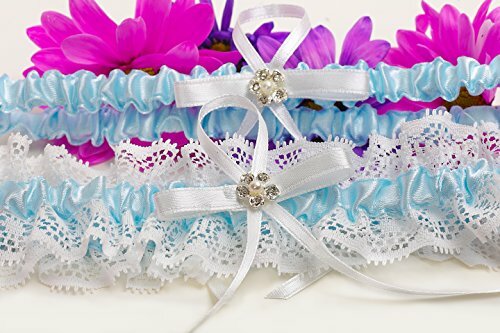 Garter set of 2 Ivory colored Satin Bows embellished with rhinestone and Lace fabric. Keep one for memories and toss the other to that single guy.